Looking for an exciting career in the pet care industry? Consider becoming a Pawz team member! Our motto is that we are always hiring, but we don’t hire often. That’s because we are always looking for just the right person to join our crew of professional pet sitters. We are looking for reliable, dedicated employees who are passionate about dog care. We will only hire those who can uphold our very high standards of service. If you understand the serious nature of taking care of other people’s pets, are passionate about animal care, love the outdoors, and enjoy the freedom of working independently, this could be the perfect career path for you! Open positions are considered permanent part time, supplemental income only, with the ability to extend hours if desired as you gain experience as a professional pet sitter. The best candidates are those with full availability, 7 days a week for all of our time blocks, however this level of availability is not required. Sitters may be required to work holidays, weekends, as dog sitting is an around-the-clock responsibility. Be looking for a long term position, not seasonal employment. Have experience with animals (not necessarily in pet sitting). Must be able to feed, walk, medicate and observe behavior in pets. Be physically fit and be able to handle emergency situations with a calm, cool head. Own a Smartphone with data plan on a major network. Be willing to commit to specific time blocks of availability on a consistent basis. Must be comfortable learning new computer software and apps. Must be comfortable cleaning up pet accidents. If experienced with dogs, must be comfortable handling those that have little obedience training and may pull on the leash. Be extremely reliable and dedicated. Calling out is only acceptable in emergency situations. Be willing and capable of working in any type of weather. Have superb organizational skills and must be able to follow written instruction. Must be professional and detail oriented. While the rest of your friends are stuck in an office, you get to spend time outdoors! We try to accommodate to your needs and commitments and create a flexible working environment. We want work to feel good, and are set on having a pleasant and friendly work and team environment. Because pet sitting requires a lot of dedication and responsibility, we like to compensate everyone accordingly. We take into account everyone’s income needs and try to come up with a win-win scenario. We provide training, guidance and around-the-clock support for all team members. We do our best to be flexible about time off, and have no set-in-stone limits. 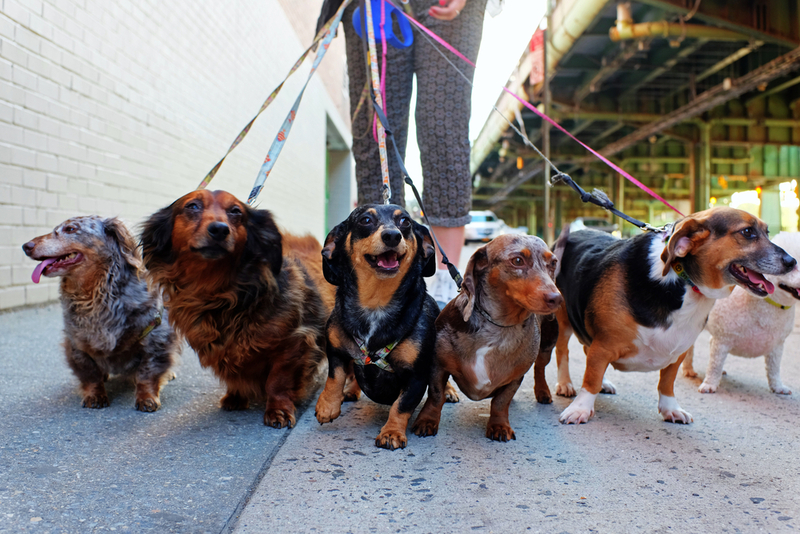 Pet sitters are compensated at a rate of 60 % of the billed visit. ALL services provided outside of business hours (weekends, holidays, late evening) are paid extra as well as walks outside of our service area. If interested, please let us know why you would be the perfect fit for our team by filling out this form.